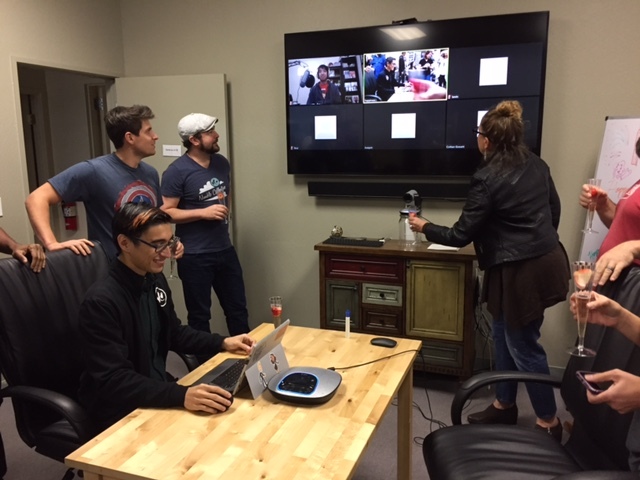 Nimble Collective is launching its Beta program! IT’S HAPPENING! They are opening up their animation collaboration platform for a limited public release. Creators of all kinds are invited to fill out an application for a chance to get their hands on the future of collaborative animation creation. Everyone is encouraged to apply, and the ideal candidate is an individual or small team with a strong idea or existing project they are working on. We are also looking for people who want to be ON a team and have some skills under their belt (animators, lighters, layout artists, etc.) to test out different aspects of the pipeline. Help us create the future of animation by creating, collaborating, and providing valuable feedback on Nimble Collective’s platform. 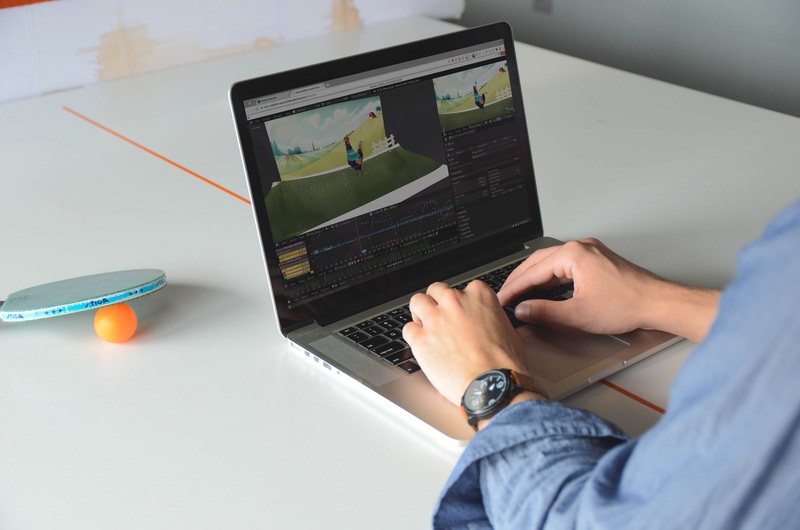 The startup, founded by a stellar team of animation pioneers and technologists, is aiming to reinvent the animation content market by offering studio-caliber capabilities without the costly infrastructure. Initially, a small pool of applicants will be chosen for this limited public beta, but Nimble plans to expand the testing over the next several months. Ideal candidates will be those with a strong idea or existing project (individuals or teams). Nimble also is seeking those who want to be part of a team and who have skills in animation, lighting, layout, writing, etc., to test various aspects of the animation platform. 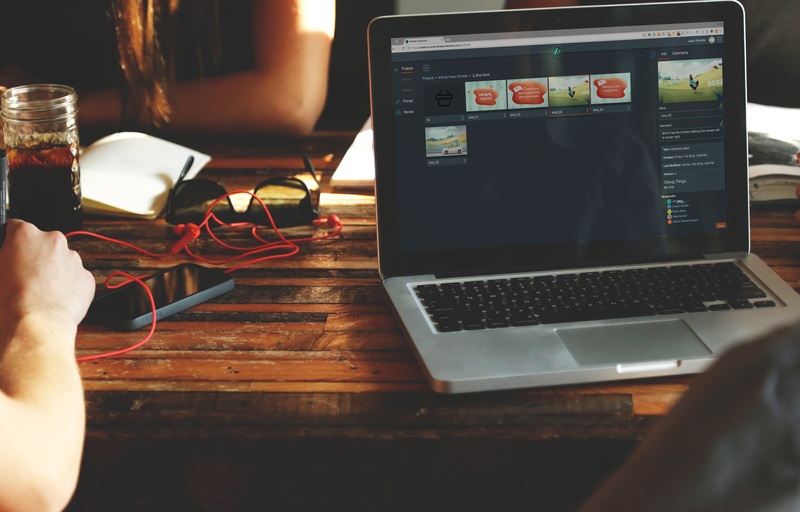 Nimble’s virtual streaming platform will allow creators to design, collaborate, and distribute their content on any computer using only a web browser and internet connection. Its pipeline will offer parallel capabilities as established studios, who have invested extensively to create and maintain their own infrastructure. Whether projects are 2D or 3D, teams can seamlessly work together to model, rig, texture, light, animate, render, composite, and edit. Interested beta testers can submit their applications here: cloud.nimbl­ecollective.com/beta. 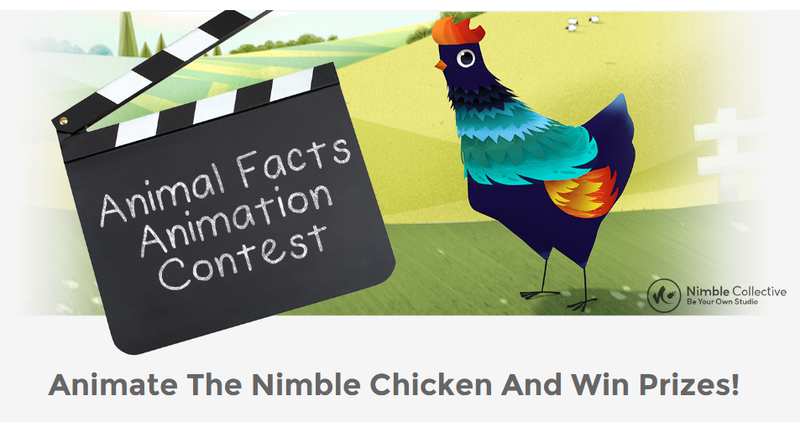 First-Ever Contest From Nimble Collective – Animate the Chicken! 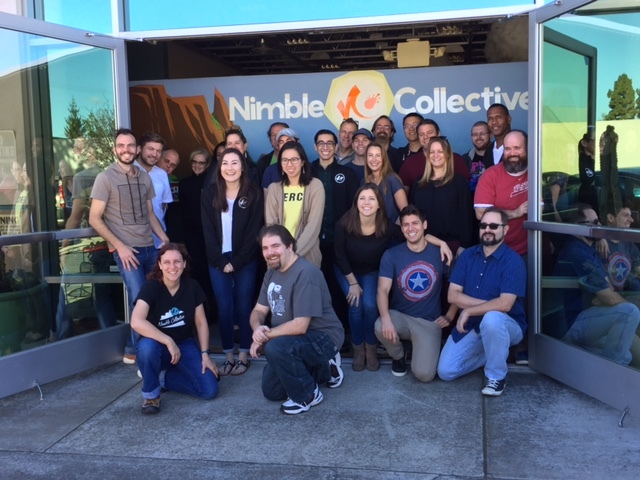 Nimble Collective, Inc., a Silicon Valley startup revolutionizing the animation industry by crafting the first cloud native animation platform, just launched their first-ever animation contest! Time for all you aspiring creators to show off some of your artistic talents! Nimble Collective invites you to Animate the Chicken and Win Prizes! It’s simple, really. Just download the (free) Blender 2.78 file of the chicken in its environment and create your own take on the Animal Fact chicken scene. Will she fly? Will she sing? Only YOU know the answer to that. Once you submit your short video, we’ll let the Internet vote on the top 5 shorts to be awarded an impressive prize package. Give it a shot!! Who knows? It may even lead to a Beta Test invite! Very soon you will learn more about that! Summer in a bottle. That was my first impression upon sipping the tasty “Blossom Water” at the Fancy Food Show. Blossom Water is pure water infused with fruit and flower essences, lightly sweetened with agave and all natural. The Massachusetts-based company, started in 2013, offers four flavors, aromatic and unique with the ephemeral tastes of summer: Grapefruit Lilac, Lemon Rose, Plum Jasmine and Pomegranate Geranium. 45 calories per bottle and 11 grams of sugar (16 oz. serving); non GMO, no artificial flavors, colors or preservatives; gluten- sodium- and caffeine-free. I tried the Grapefruit Lilac, wondering how in the world these two flavors could be woven together but it worked – you first experience the refreshing tartness of grapefruit, softened by a delicate lilac finish. I also sampled the Plum Jasmine with the same curiosity; the makers know what they are doing. The fruity initial note was balanced with the jasmine providing just a kiss of floral sweetness. These waters are sophisticated enough for any gathering. There are warm welcomes and positive customer experiences brewing in downtown Paso Robles! We had the distinct pleasure of being a part of Kreuzberg, Ca Coffee’s Grand Opening Celebration and company expansion! The event included coffee lovers and afficionados from near and far being introduced to Kreuzberg’s unique cafe offerings and culinary rituals. They are serious about the coffee and tea experience, which drives them to bring their customers an experience which not only represents the amazingness of their coffee but also gives a double-shot boost to the Kreuzberg brand. Kreuzberg Coffee Company started in 2010 by Cal Poly grads that fell in love with European cafe culture while hanging out on their laptops in the coffee shops of Kreuzberg, a neighborhood in Berlin, Germany. They set out to bring this same experience to SLO and Paso by offering a welcoming, fun, and creative environment where customers come to eat, drink, meet, study, play, listen to live music, drink a beer, or just hang out with friends. They roast their own beans every day and their talented and creative baristas pour their heart and soul into every cup. We mingled with a steady crowd of locals and weekend travelers who were quickly building relationships while discovering the inviting ambiance, high-quality coffees and teas, morning treats and lunch menu, kombuchas, and more. Easy to get to and situated in picturesque downtown Paso Robles, California – Right off Hwy. 101 at 725 13th St., in the heart of California’s Central Coast, Kreuzberg Coffee is elevating the morning beverage to a treat worth indulging in regardless of the time of day. Special kudos goes to the hard working staff who spent days and nights preparing for the event – especially manager and artistic barista, Julian Cantreras, pictured here preparing hand-crafted indulgences. Stop by and enjoy the the best of a coffeehouse environment for yourself combined with excellent customer service. Follow them on Facebook . Order Kreuzberg’s fresh roasted beans here. Each year my business partner and I show up the Winter Fancy Food Show with empty stomachs and high expectations. Long ago we learned that it was best to go lightly at the onset to avoid over-indulging and losing focus. Our goal is to seek out unique new products, flavors and trendy food concoctions. This year we were stopped in our tracks by Cosmos Creations gourmet oven-baked puffed corn. This is not your typical popcorn snack. Cosmos Creations are a delicious, all-natural alternative that we could not stop tasting! An assortment of unique, fun flavors was available including Salted Caramel, Carmel Apple, Spicy Sriracha and, my personal favorite, Coconut Crunch. Baked corn is different from popcorn – there are no hulls or kernels because it’s made from corn meal that is extruded then baked, resulting in a puff. Cosmos products are made with all natural ingredients which means no preservatives, no additives, no artificial flavors, and no artificial colors. The fantastic assortment of flavors initially drew me in, but what kept my attention was the fact that Cosmos Creations satisfy the way popcorn should yet have no hulls or kernels that lodge between your teeth and ‘stick with you’ throughout the day. An added benefit that I think should be shouted from the rooftops is that it’s gentle enough to enjoy for anyone with braces, retainers, and other appliances – Oh how I wish I had discovered Cosmos Creations when my kids were in braces! Cosmos melts in your mouth and are hand-made from natural ingredients, all of which I could pronounce. It is a gluten free snack made from non-GMO corn with zero trans fats. Each year I collect my favorite finds and ship a “care package” to my daughter who is away at college, which included several flavors I snagged at the Cosmos Creations exhibit. She soon called me and had to know where to get more (Caramel Apple, please!) for her and her pals. Coincidentally, her school is within a few miles of Cosmos Creations new plant in Junction City, Oregon so they had no trouble finding a local Fred Meyer with a nice selection. Cosmos was a huge hit with me as well as some picky, health conscious college students. We agreed that Cosmos Creations’ pure natural ingredients combine to make an airy, natural snack alternative that proved to be deliciously addictive. Purchase Cosmos Creations on line here. Or search for a store near you at this link. Buy Cosmos online at Costco.com. Follow Cosmos Creations on Facebook, Instagram, and Twitter. On the other hand, you might not look twice at the Finger Lime, an Australian native that’s smallish, like a short fat cucumber, dark green and innocuous. It doesn’t scream intensity. The price tag might scare you off too. After discovering “Citrus Caviar” a few years ago at the Shanley Farms’ booth within Savor California at the Fancy Food Show, I was hooked. Its high-profile flavor accents anything it accompanies to the nth degree. Samples were served with yogurt as well as on their own. The pop on one’s tongue is reminiscent of the small orange sushi roe, but the taste is citrus, green, sweet and tangy all at once. Top chefs adorn everything from fish to salads to risotto and ice cream with these delectable dots. The pop on one’s tongue is reminiscent of the small orange sushi roe, but the taste is citrus, green, sweet and tangy all at once. Top chefs adorn everything from fish to salads to risotto and ice cream with these delectable dots. Poised to be the next great citrus, California farmers are scaling to larger markets. Shanley Farms, out of the California Central Coast, has trademarked their Finger Limes as “Citriburst’; they also provide Morro Bay avocados, kiwis, lemons, coffee trees, raspberry figs, goji berries and more (most produce sold to wholesalers). Citriburst Finger Limes are available for purchase online fall through early winter and also through several distributors including Whole Foods Market, Hy-Vee, New Seasons and Super Valu. Shanley Farms founder Jim Shanley started farming in his retirement years, after a commodities career. His goal is to leave a real legacy for his family and generations to come. Starting with an avocado ranch, Jim was soon smitten with the first-to-U.S.-market possibilities of the Finger Lime micro citrus. The first trees were planted ten years ago, and begin fruiting in 2011.